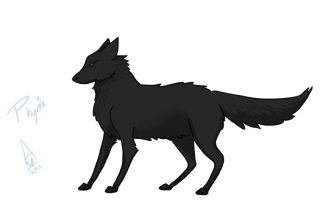 Pelt: A melange of black, grey and silver, Phynix's pelt is a sight to behold underneath the moonlight. Though it is a tad hard to see her in the darkness, the lighter parts of her pelt glimmer gently, therefore creating a glow around her. During the day, she blends in quite well into the trees, of which she enjoys seeking refuge in. She keeps it in perfect condition and due to her heritage as an Eurasian wolf, it is quite thick, built to keep her warm. Eyes: Most of the time, her eyes are the exact shade of clear untainted spring water with a gorgeous deeper hue to it. They often change with each different angle the light shines upon them, making them quite alluring to gaze at. Other physical aspects: Her body is medium-sized and is perfect for hunting and slipping through the trees with ease. With her soft smiles and courteous behaviour, she can be considered as a charming female. Soft-spoken:Phynix is one that doesn’t speak much unless she has to. Her voice is melodic and flows smoothly, despite the few amounts of times she uses it. Witty: Being well versed in the art of hunting, Phynix is incredibly sharp-minded. The requirement of being agile and a quick thinker as a hunter allows her to use her skills in everyday life. She is able to rebuff many insults towards her if necessary. Sarcastic: This side of her doesn’t often appear but if she is feeling particularly giddy, she can make numerous snarky comments that are quite uncharacteristically like her, but nonetheless humorous. 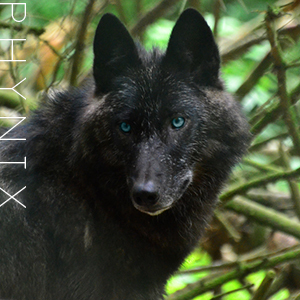 Mellow: Phynix is a pretty laid-back wolf. She rarely yells, though some actions may irritate her to the point of where she will growl. Her actions are never flashy, preferring to be in the shadows rather than in the spotlight. Mature: She is the opposite of brashness. Phynix will never go forward without thinking it through. She is cautious and is constantly thinking of pros and cons for every situation she is in. Loyal: Loyalty is an important word in Phynix’s dictionary. After the pack took her in during her wandering days, she has a life debt to it. 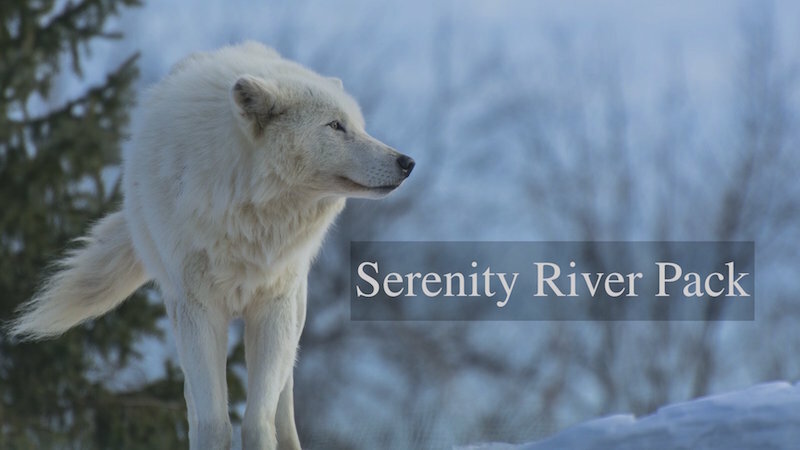 To her packmates, her friends and to the pack itself, she pledges her undying faith to the pack’s prosperity. 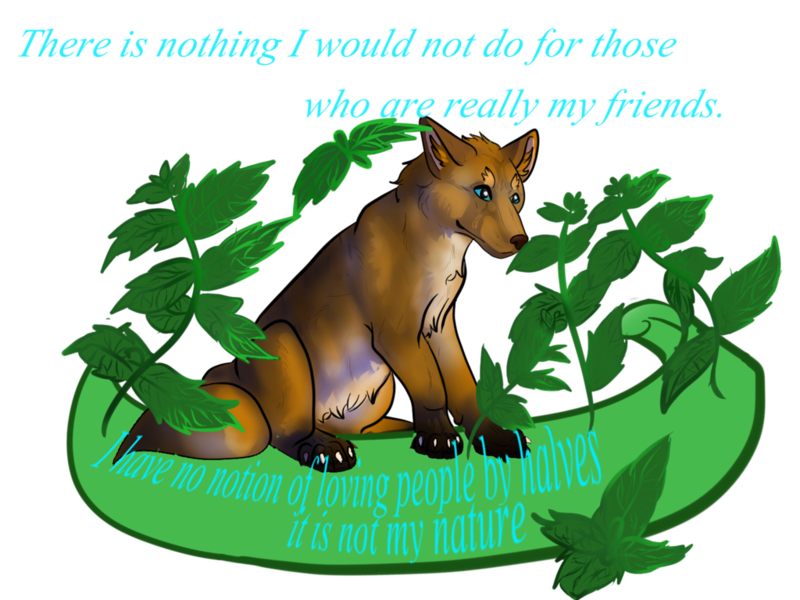 Weaknesses: Phynix is a socially awkward wolf with some trust issues. She is emotionally and (mildly) mentally weak, however, she hides it well beneath an unbreakable smile that is constantly in place when she deals with difficult personalities. Strengths: Her ability to get out of sticky situations, she has a witty mind, is a talented hunter. Talents: Her senses are incredibly enhanced; she would be able to notice and smell another animal, miles away. This also applies to her emphatic abilities; she is able to sense the emotions of others. Habits: When feeling awkward and down, she tends to paw the ground with her right paw. Crush: There isn't anyone for Azzuen to be jealous of, anymore.